Three would-be teenage car thieves were foiled at their attempt to carjack a 70-year-old woman when they found out her Kia Spectra had a manual transmission, something none of the scofflaws knew how to use. 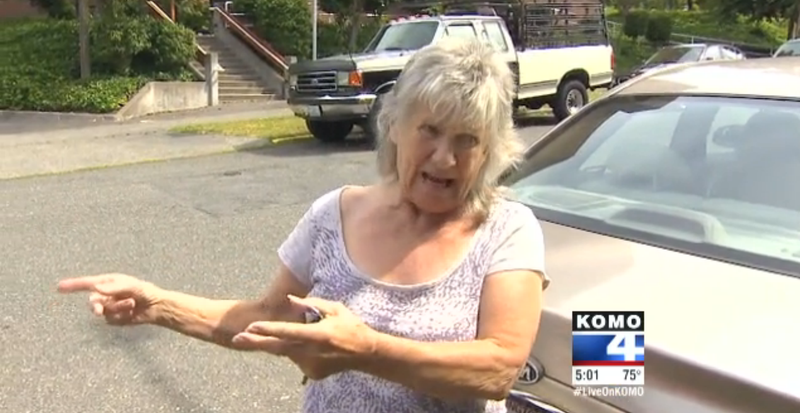 70-year-old Seattle resident Nancy Fredrickson had returned home from shopping at a few garage sales — typical septuagenerian activity — when she was approached by the teens in her driveway. One was armed with a gun. Though Fredrickson has a black belt in karate(! ), she let them have the keys. But they didn't get far. "I got a 5-speed in there, and they couldn't figure out how to get it going," Fredrickson told one TV station. "I could hear them trying. They put the keys in, they turned the lock, but they couldn't figure out how to get it started," she told another. The teens took off and are still on the run.